THE B-MOVIE NEWS VAULT: Sorry Jack, Chucky's Back on Collector's Edition Blu-ray on October 18th! Sorry Jack, Chucky's Back on Collector's Edition Blu-ray on October 18th! THE GOOD GUYS AT SCREAM FACTORY GIVE "CHILD'S PLAY" A BLU-RAY RELEASE TO DIE FOR ON TUESDAY, OCTOBER 18TH! CHILD'S PLAY is one of the all-time greatest Horror films to come out of the 80s! Chucky became a household name, and his feature film debut spawned five sequels (with one more on the way)! 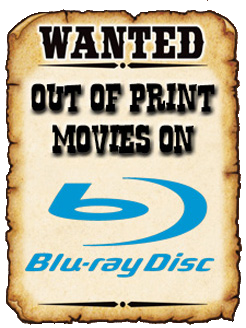 Even if you already own this movie in any format (because let's face it, you do) an upgrade seems unavoidable this time around! Film Synopsis: The "chills come thick and fast" (Los Angeles Times) in this riveting, jolt-a-minute thriller about an innocent-looking doll inhabited by the soul of a serial killer who refused to die. From the director of FRIGHT NIGHT (Tom Holland), CHILD'S PLAY comes complete with "excellent special effects" (Leonard Maltin) and a slew of special features that make this Blu-ray your "friend to the end!" In this "clever, playful thriller" (The New York Times), only six-year-old Andy realizes that Chucky is responsible for a spate of gruesome murders, including that of his unsuspecting babysitter. But the real terror takes hold when the deranged doll becomes determined to transfer his evil spirit to a living human being... Andy! NEW! 2K scan of the interpositive. NEW! Audio Commentary with director Tom Holland. Audio Commentary with Alex Vincent, Catherine Hicks and "Chucky" designer Kevin Yagher. Audio Commentary with Producer David Kirschner and Screenwriter Don Mancini. Also, there is a DELUXE Collector's Edition available. 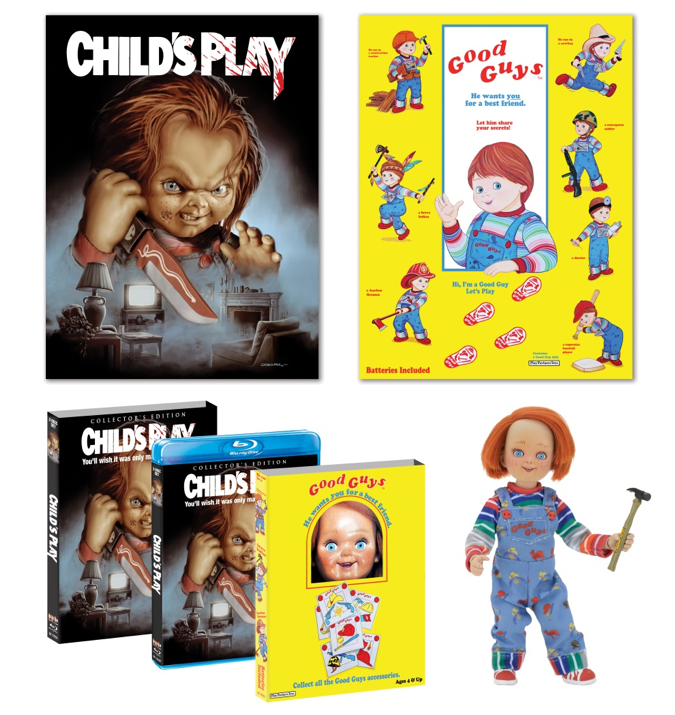 It comes with a NECA Good Guy Doll action figure, TWO 18 x 24 posters, and two slipcovers with new artwork! This release is limited to 2,000 units, and can be ordered immediately HERE!